Goodreads: After thirteen years on the run Violet McLaughlin returns to Carter’s Crossing, South Carolina, in 1962, with her young daughter, Sassy. The Crossing is right outside of Beaufort and the turmoil of the Civil Rights movement will forever leave its scars on the young and impressionable girl. As Sassy stands before the imposing white farmhouse for the first time, with no knowledge of her history but that the McLaughlin's are her kin, Sassy begins a journey that will tear her apart before it heals her. Growing up among secrets that will forever damage her relationship with her mother, she attempts to make sense of her past. But will her passion for art and her love for Thomas Tierney be enough to sustain her future? Will the puzzles she must solve to discover who she is be worth the journey? Kritters Thoughts: What a dramatic read. You name any tragedy that can happen to one person and they each happened twice to Sassy Sweetwater. Born without the knowledge of her father to a very young woman she is separated from her huge extended family until finally her mom must return home and face a few fears. Sassy was quite the main character. I liked her and I liked most of the story. I just thought that it was a little over the top. I could have enjoyed it a little more if it had just a little less dramatics to it. I would have liked just a little more emphasis on the Civil Rights movement and how that impacted this family in the South. It was there in bits and pieces, but there were a few moments when I forgot that this book was current and taking place in the here and now. I wish it had had a little more historical to it. 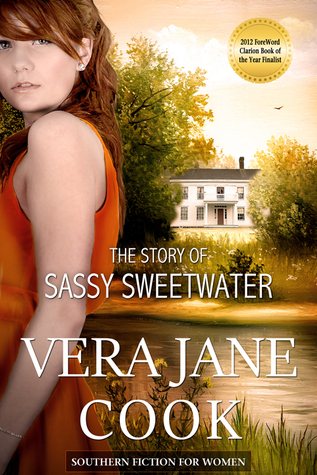 I still liked the writing and would read another by this author, but would hope that the main character is just as likeable and enjoyable as Miss Sassy Sweetwater!